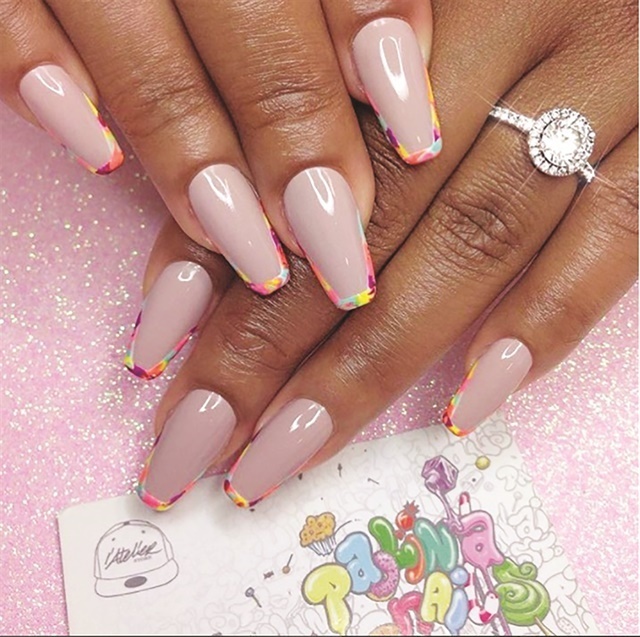 Marble nails have been a constant top performer on social media for the past few years, but stone-inspried sets took on new life with a matte finish in 2017. 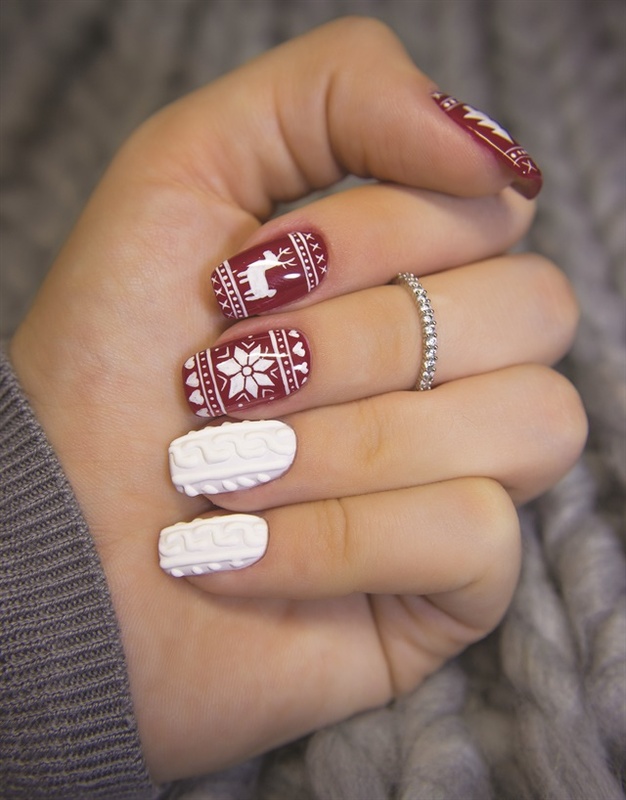 It's not even winter yet and this technique certainly isn't new, but bundled up nails are very much in-demand. Speaking of wearables, denim made a splash on digits this year. 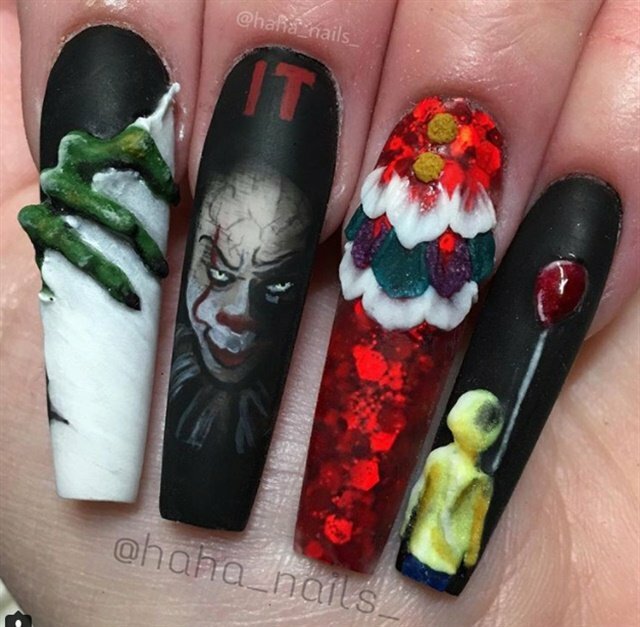 The horror remake set box office records, but was also a hit with nail enthusiasts as well. See more sets here. 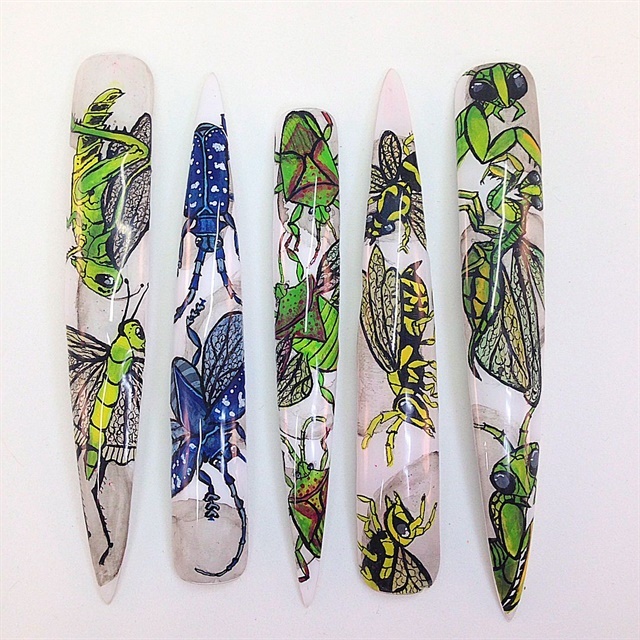 It sounds gross, but people bugged out over insect-inspired art that's actually quite beautiful. Remember back in August when we all stared at the sky? There were also a ton of eclipse-inspired sets worth staring at as well. 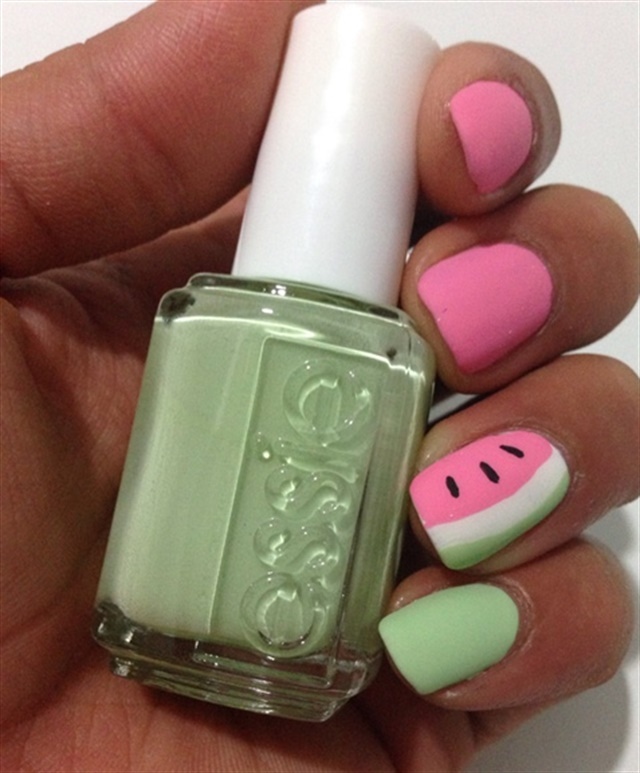 Mouth-watering mixes of pink, green, and seeds dominated manis in summer 2017. Sink your teeth into 24 more designs here. 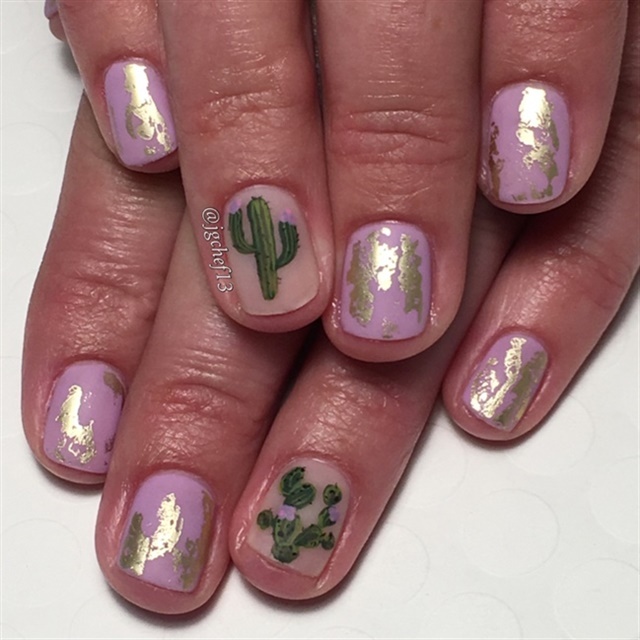 Cacti coolness swept the land with 3-D inspired succulents and cute, flat cactus nails popping up everywhere. 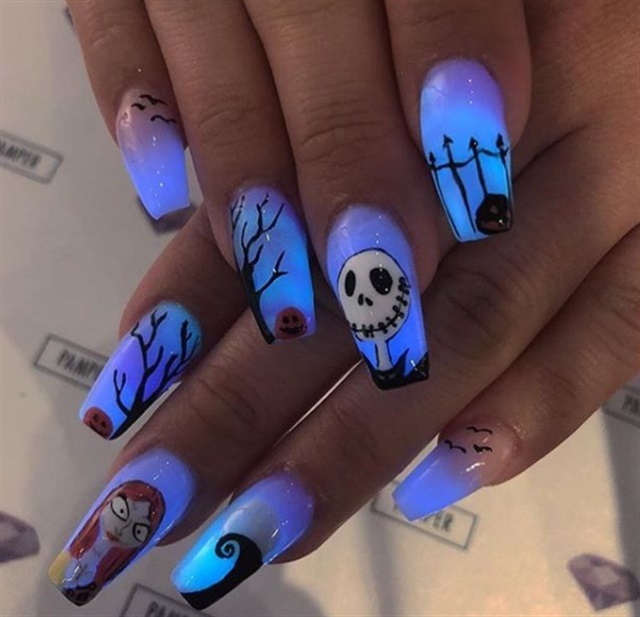 When the live-action version of a tale as old as time debuted in March, artists set out to create nails that were the belle of the ball. See more here. The Women's March kicked off 2017 with a powerful statement that eventually took to nails as well. 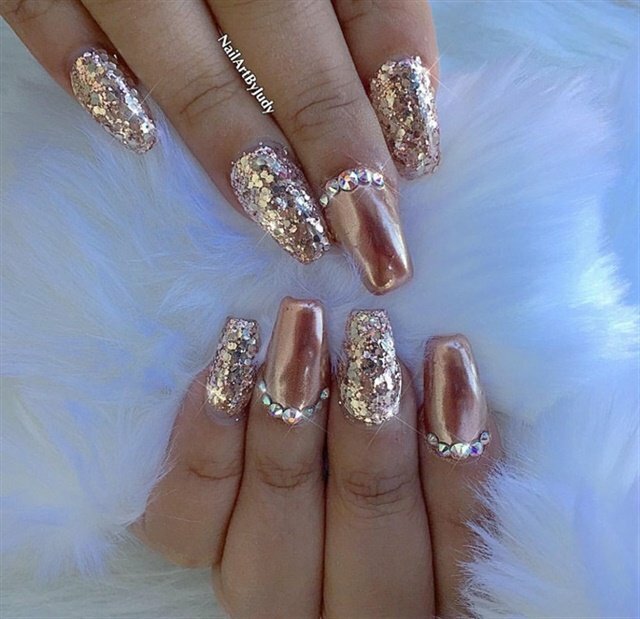 Expect to see more manis like this in 2018. 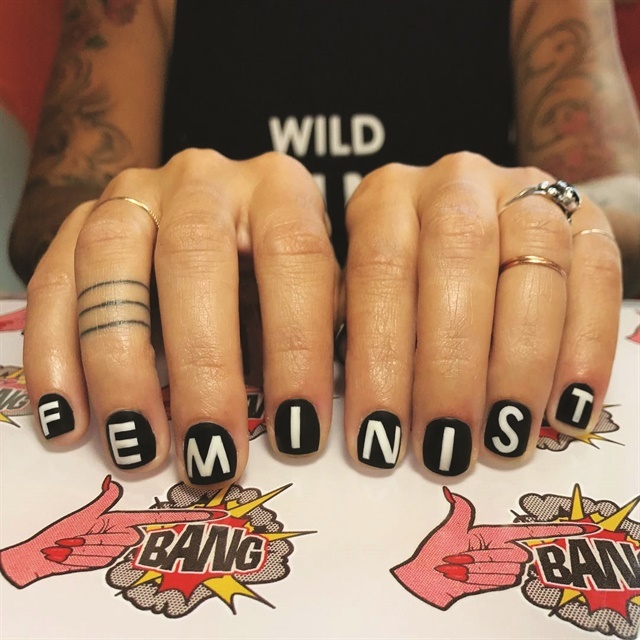 The fashion house reinvented itself with a modern aesthetic, and in doing so inspired high-fashion nail art. The demand for glow powder made these special effects nails light up even more. In April the Unicorn Frappuccino invaded our tastebuds, beginning an onslaught of all things unicorn. 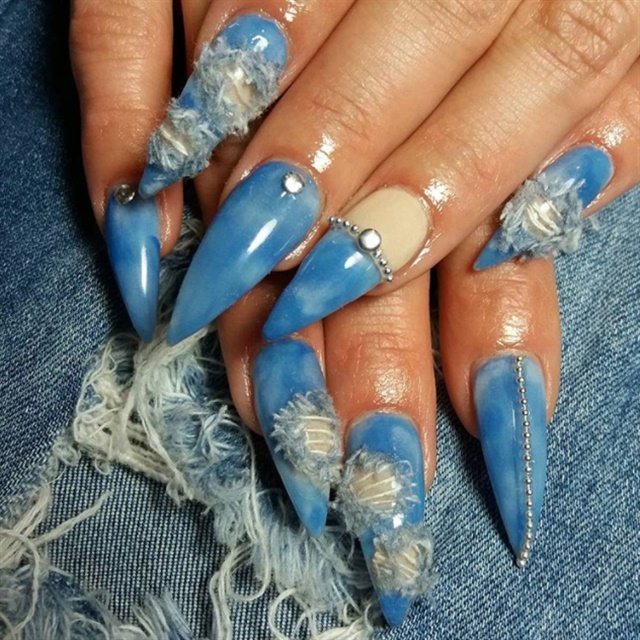 Browse more unicorn horn nails here. Airbrushed art made a brief comeback in 2017. If unicorn and chrome nails had a baby, it would be the holo nail. This rainbow reflective effect was spotted all over nails and product lines in 2017. A slender smile line was certainly big in 2017. See more examples here. This metallic shade made the year all the more rosey. Whether it's an ombre or an elaborate handpainted design, fancy footwork gave us all the feels this past year. Magnetized nails were massive in 2017, spawning several cat eye (called that due to the reflectiveness of the design) product lines. Which trend was your favorite? Did we miss one? Let us know what you think should have made the list.